Note: You’ll be presented with WebP images on the Play Store if and only if you use Google Chrome, so you can instead use Firefox, Opera or Internet Explorer to download these images as JPG or PNG by default. That being the case, the following tutorial is only for Chrome users. 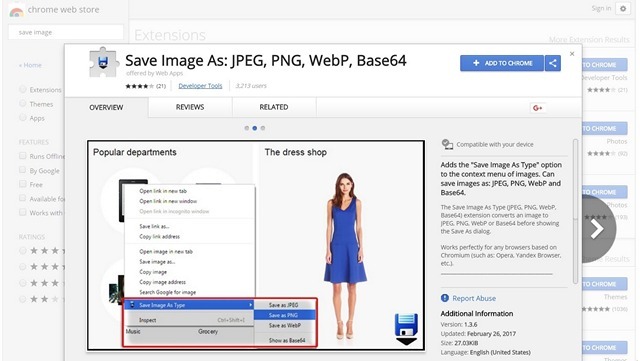 The easiest way to avoid saving Play Store images as WebP even while using Google Chrome is to download an extension called ‘Save Image as JPEG, PNG, WebP, Base64’. Once you’re there, just click on ‘Add to Chrome’ as seen in the image below. 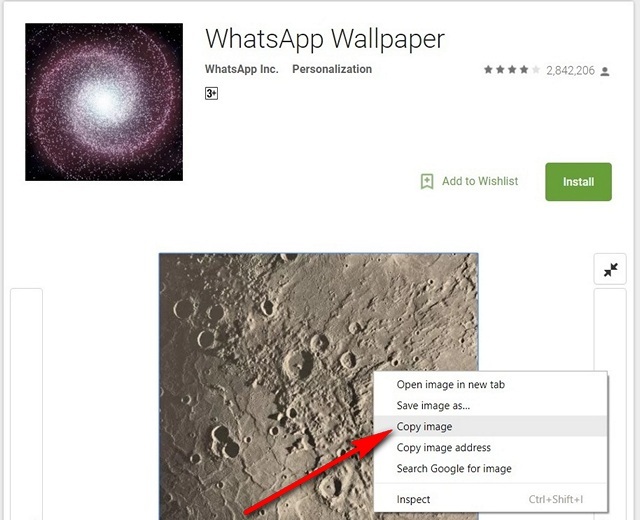 Once you’ve installed the extension, go over to any Play Store page (or any web-page anywhere on the internet for that matter), and just right click on an image. You’ll get options to save it in any of the three different formats as seen in the image below, so just take your pick. That’s it guys, it is that simple to save any Play Store image in JPG or PNG even while using Google Chrome. While the method described above lets you save WebP images as JPG or PNG through a simple right-click, you can also do the same without installing this extension, although, it will require a couple extra steps. 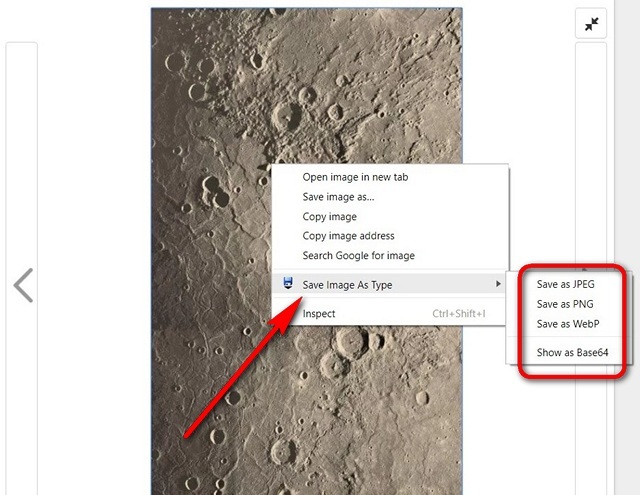 First off, right-click on the image you’re looking to save, and choose the ‘Copy Image’ option instead of ‘Save As’, as shown in the image below. Open MS Paint or any image editing app, and paste the copied image using Ctrl+V or whatever keyboard shortcut is supported by your image editing software. 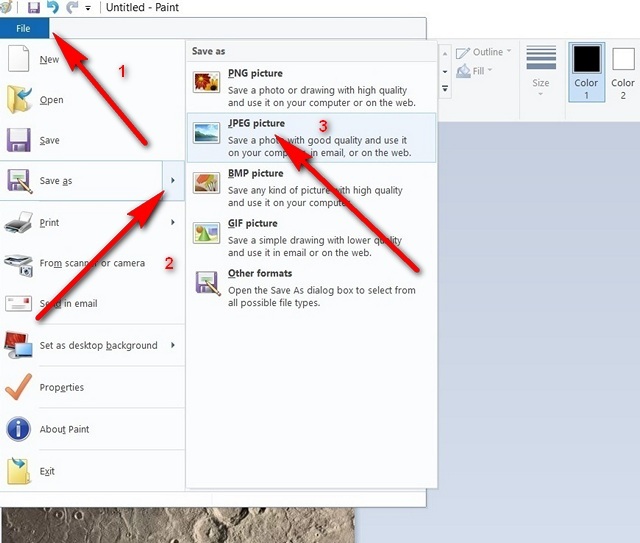 If you’re using MS Paint, click on the blue button on the top-left, and hover your mouse pointer over ‘Save As’, you’ll get options to save your image as JPG, PNG, BMP or GIF. The WebP format was a good idea from Google given all the advantages it has over the more common JPG files, but unfortunately, it has failed to take off even after so many years of being in existence. Which is why Google’s insistence on using it for Play Store images create a lot of problems for many like us in tech media who have to work with them on a fairly regular basis. As a dedicated Firefox user, I have never had to face any WebP-related troubles, but in case you had to go through the hoops to save these images in a more universal format, now you have the knowhow to save yourself all the headache. So give it a go and let us know how it went, because we love hearing from you.